This May 23 - 26, European citizens will make a choice, determining the direction the Union will take by voting in the Elections of the new European Parliament. #CoopsInspireChange is a cross-cutting campaign of the European cooperative movement including all sectors, led by Cooperatives Europe. The campaign brings together our members, cooperatives, cooperators, supporters and candidate MEPs from all over Europe to. Read the campaign launch press release. Please access the website for extensive information for candidate MEPs, cooperators, members and other supporters. You will find the campaign and resources guides, advocacy documents, information about voting, how to join the campaign and more. 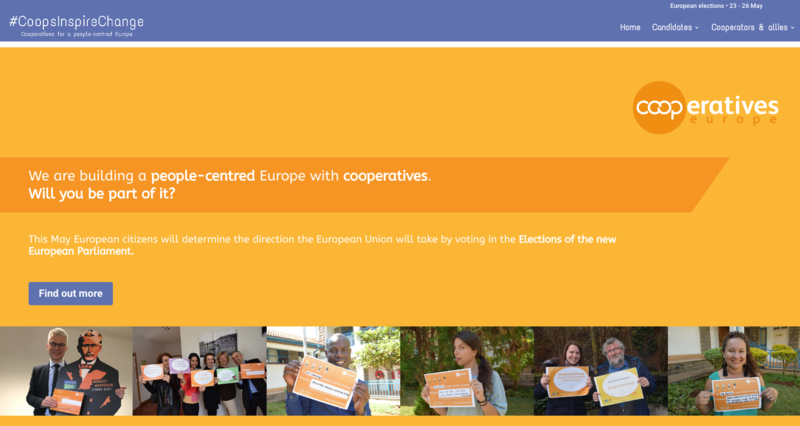 We invite all candidate Members of the European Parliament to become #CoopSupporters, and our members to introduce Cooperatives Europe to the potential #CoopSupporters in their area. Share on social media how #CoopsInspireChange in your life and community and send us a photo or a video. We want to see all sectors, languages and countries represented!